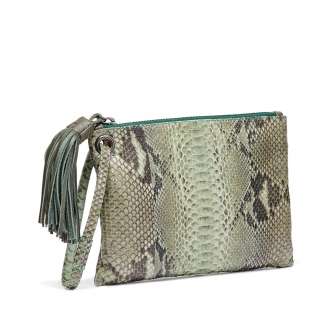 This soft lizard pouch is a classic accessory that will be part of your outfits, season after season, never going out of fashion. 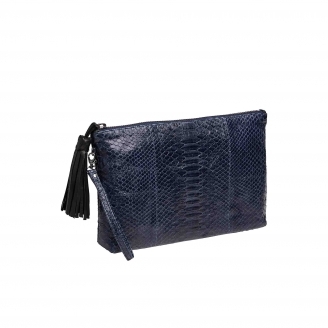 It has a leather wrist strap that allows you to easily carry it by hand or can easily slip into a larger bag for better organization, such as Marny tote for example. 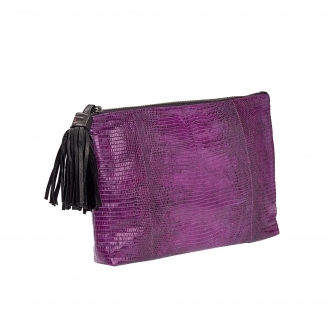 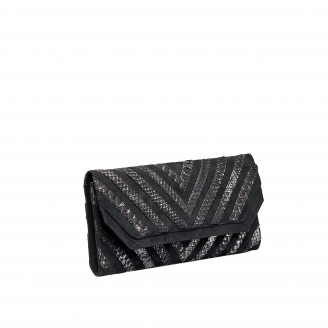 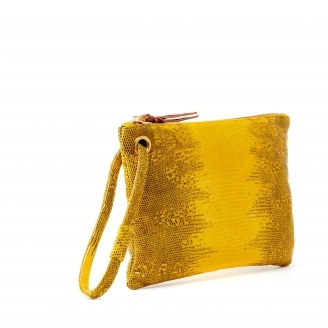 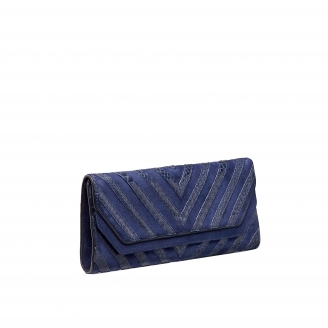 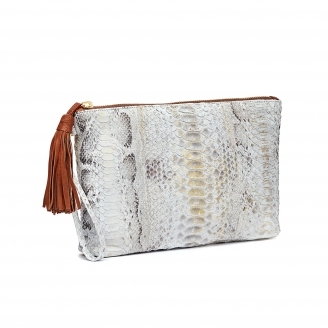 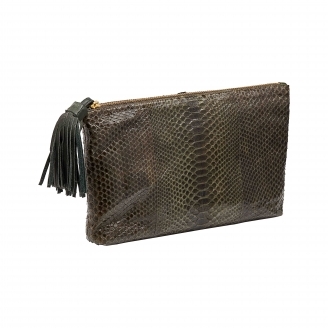 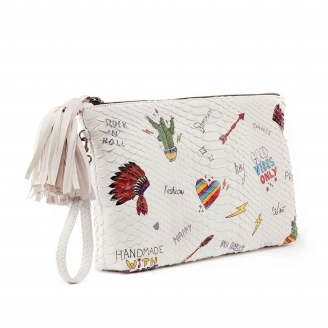 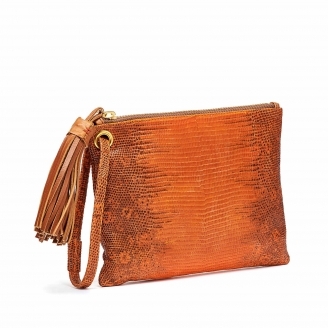 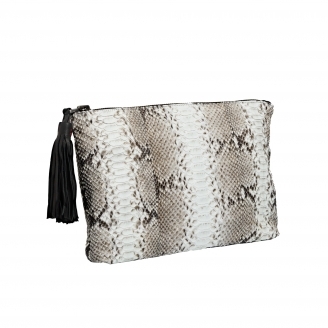 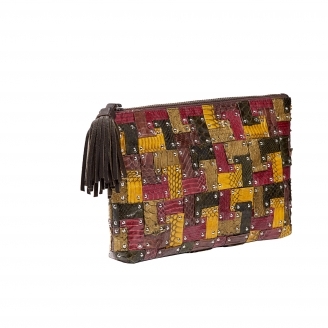 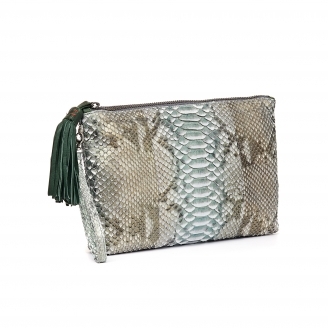 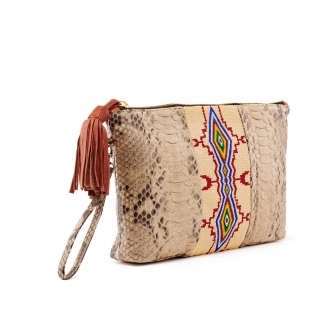 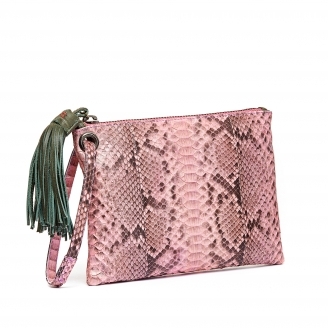 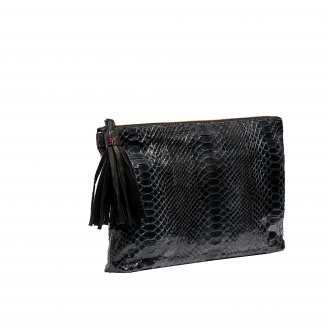 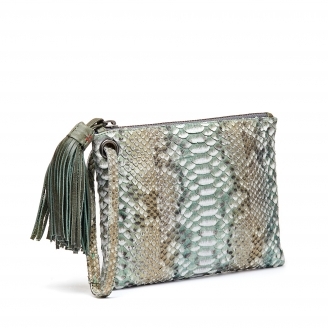 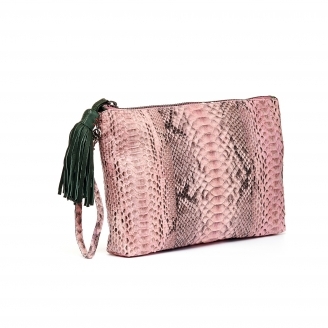 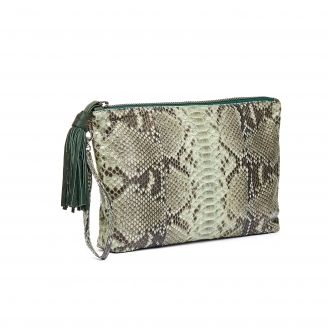 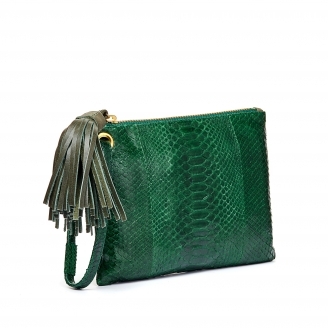 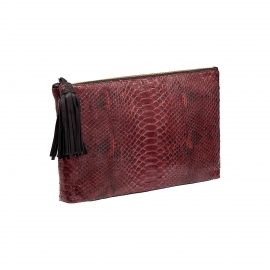 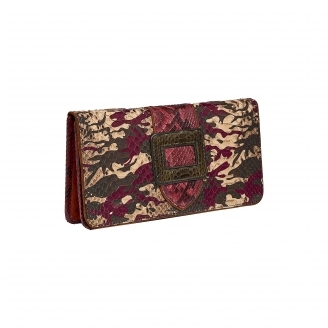 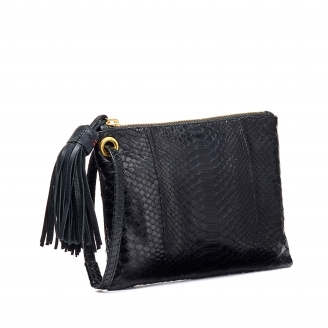 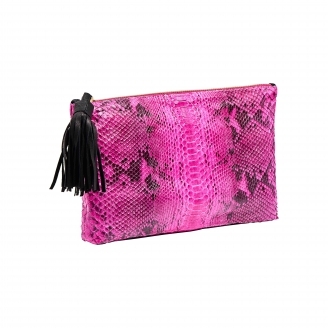 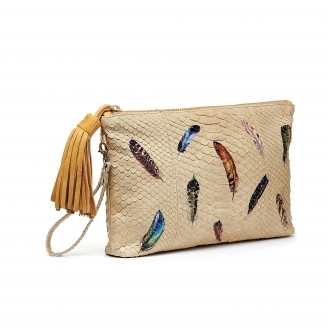 This 100% lizard soft clutch bag has the ideal dimensions to carry a mini tablet, a mobile phone and a wallet. 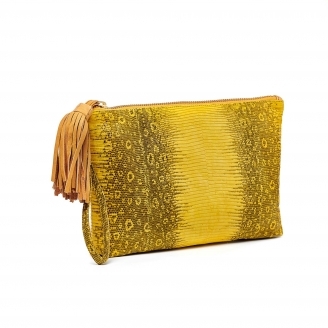 It has a leather tassel and can be worn on the hand or easily slipped in a bigger bag for a better organization, such as the Johnny tote bag. 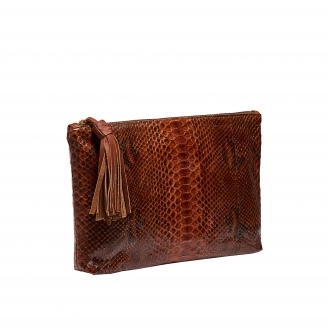 This soft lizard pouch has the ideal dimensions to carry a mini tablet, your card holder and your mobile phone. 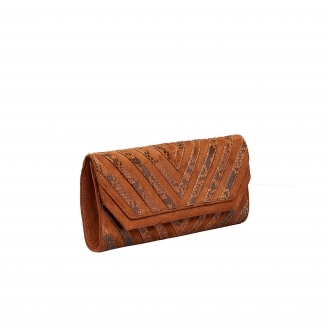 It has a leather wrist-strap leather strap that allows you to easily carry it by hand. 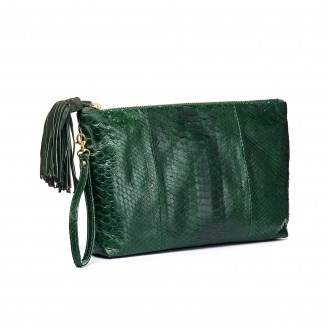 It fits easily in a larger bag for better organization, such as the Marny tote for example.